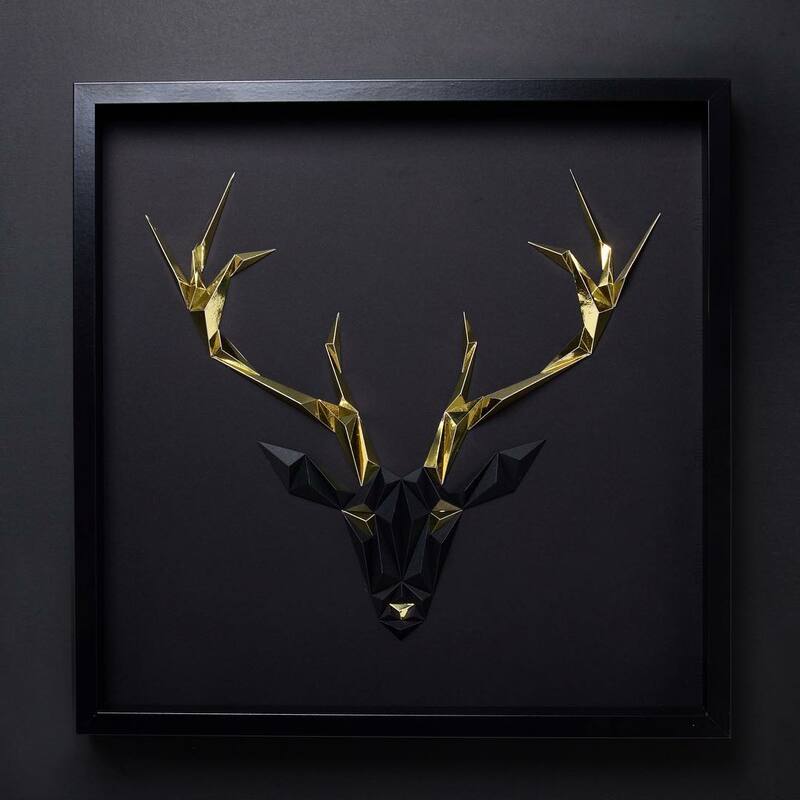 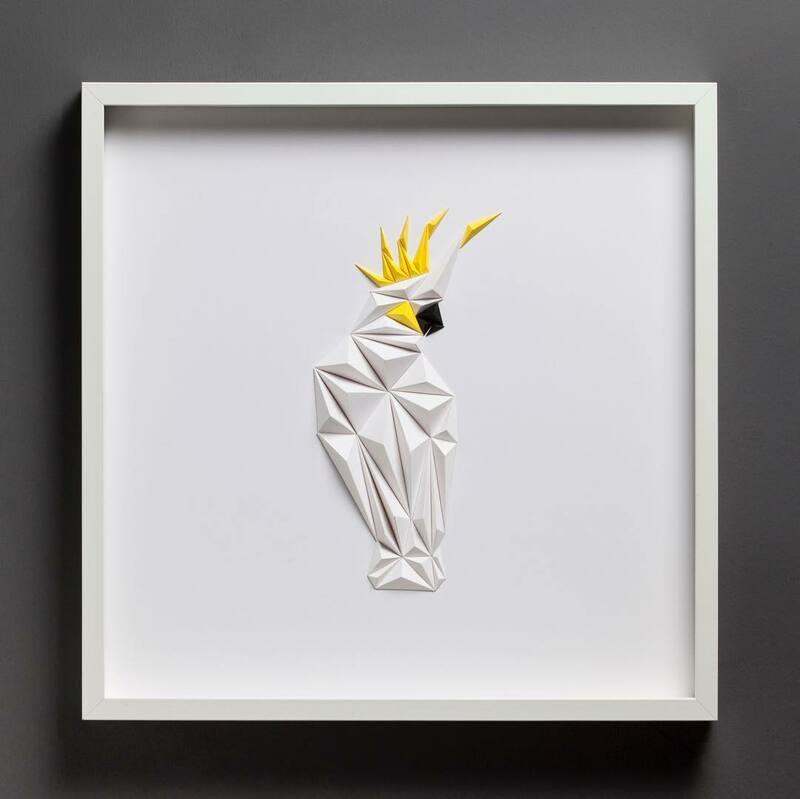 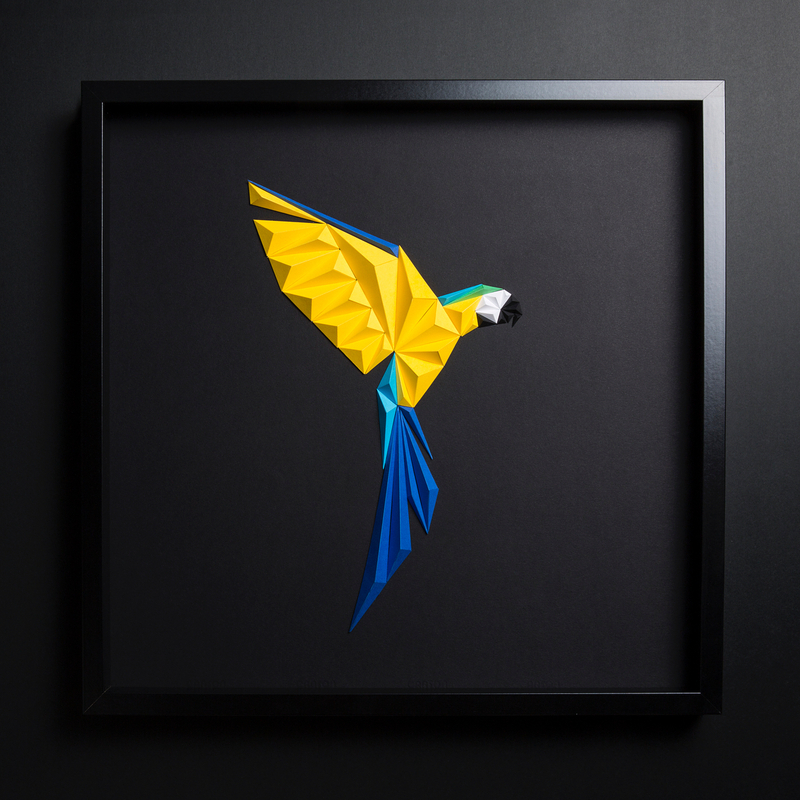 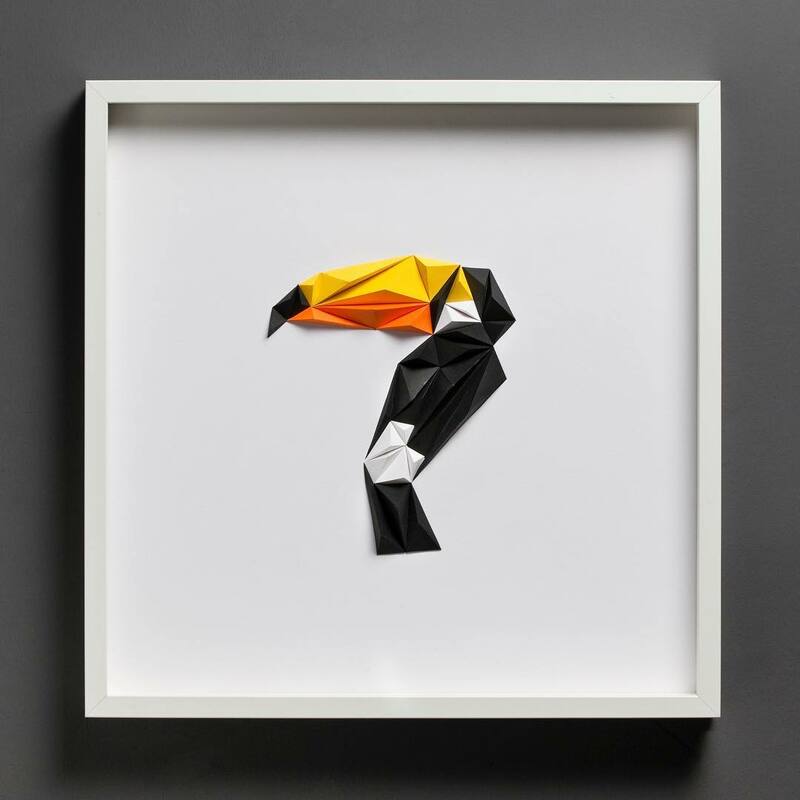 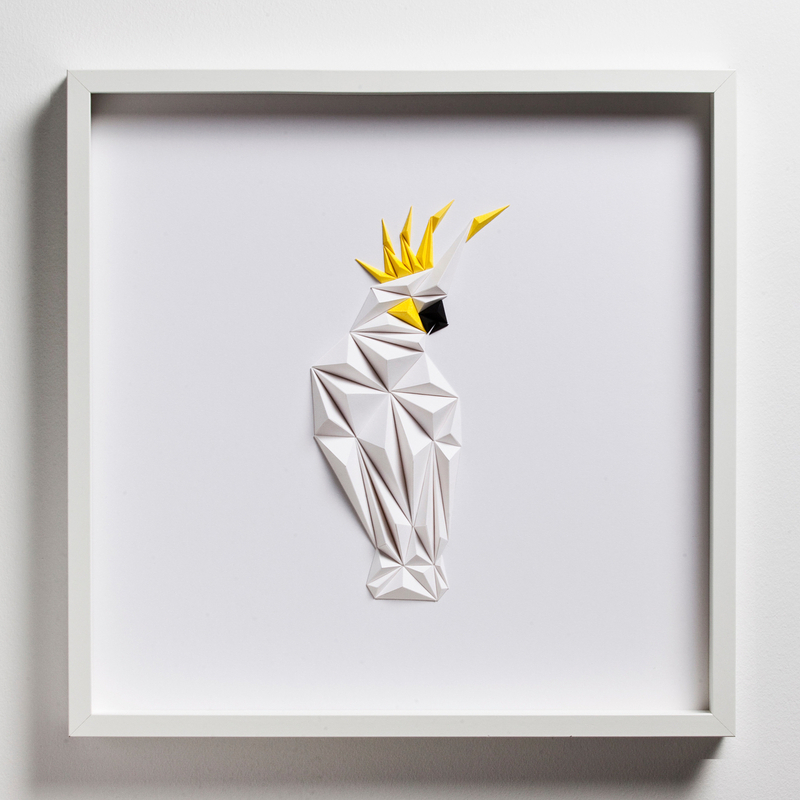 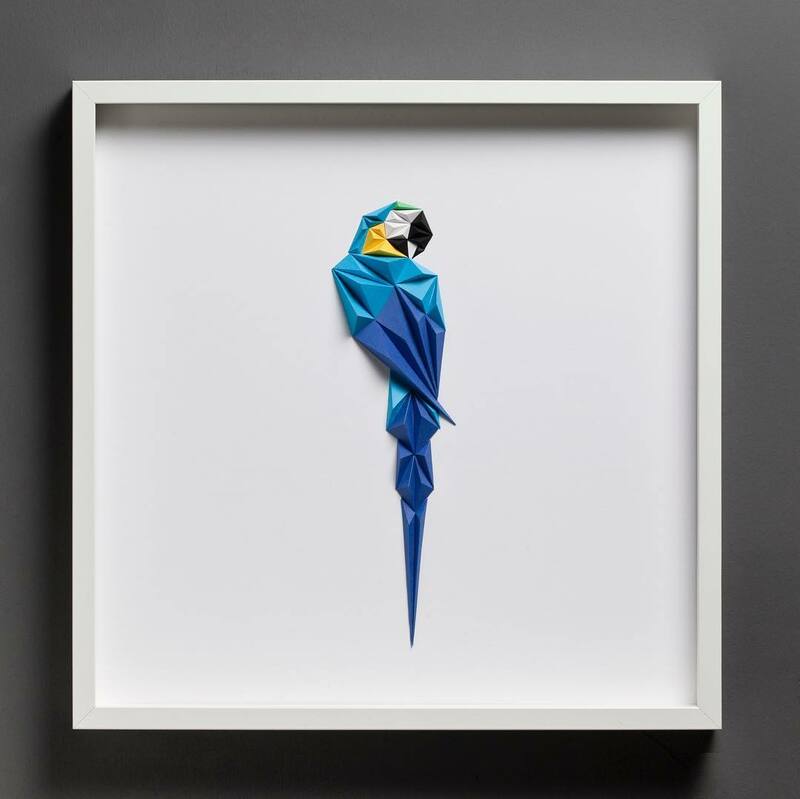 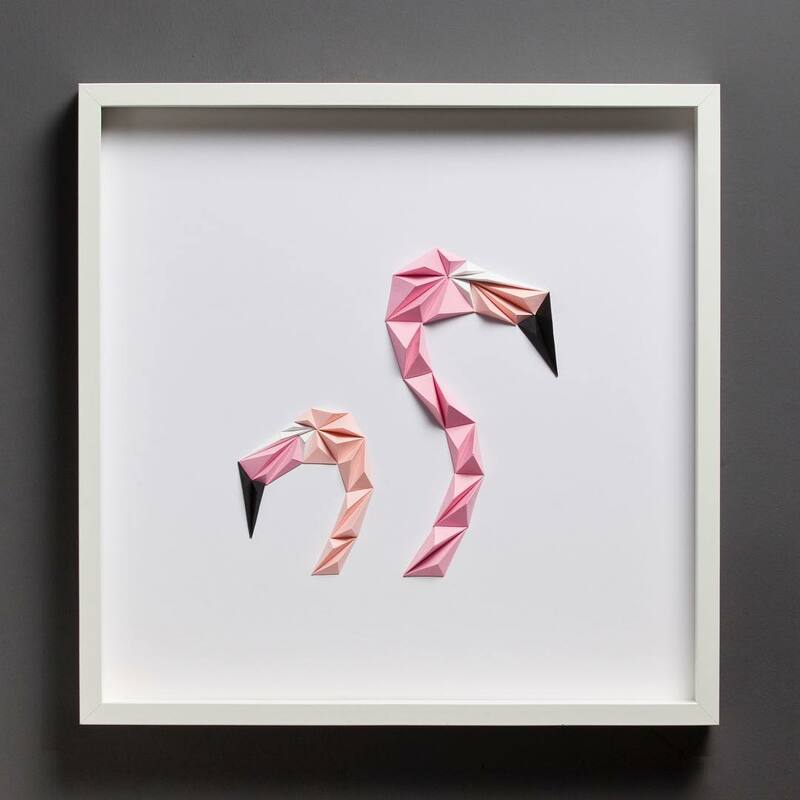 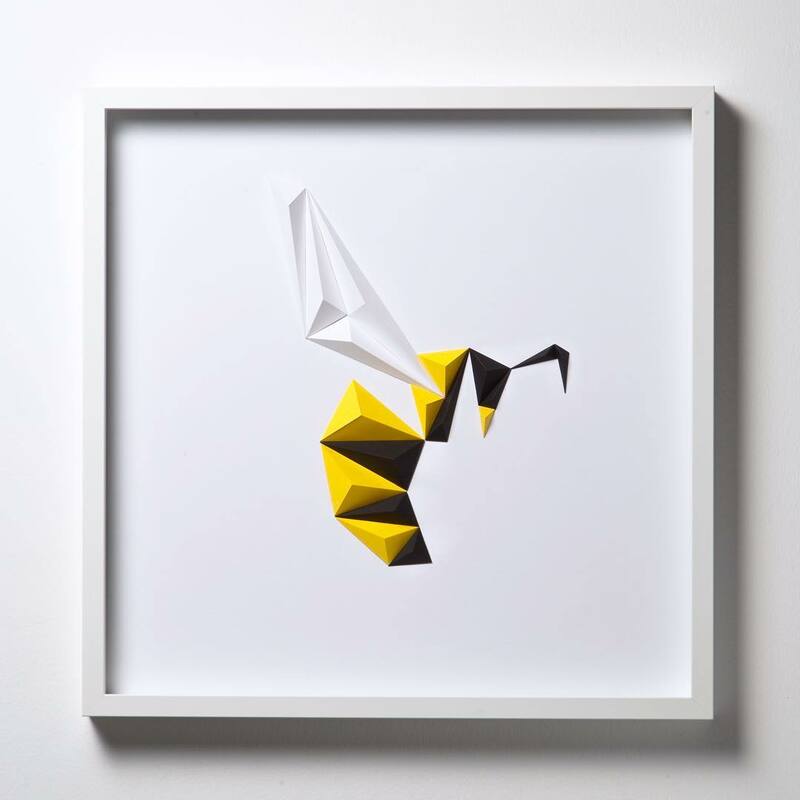 Istanbul-based paper artist Tayfun Tinmaz left a career in modeling to begin producing paper art designs, a practice of geometric-inspired works he collects under the name Paperpan. 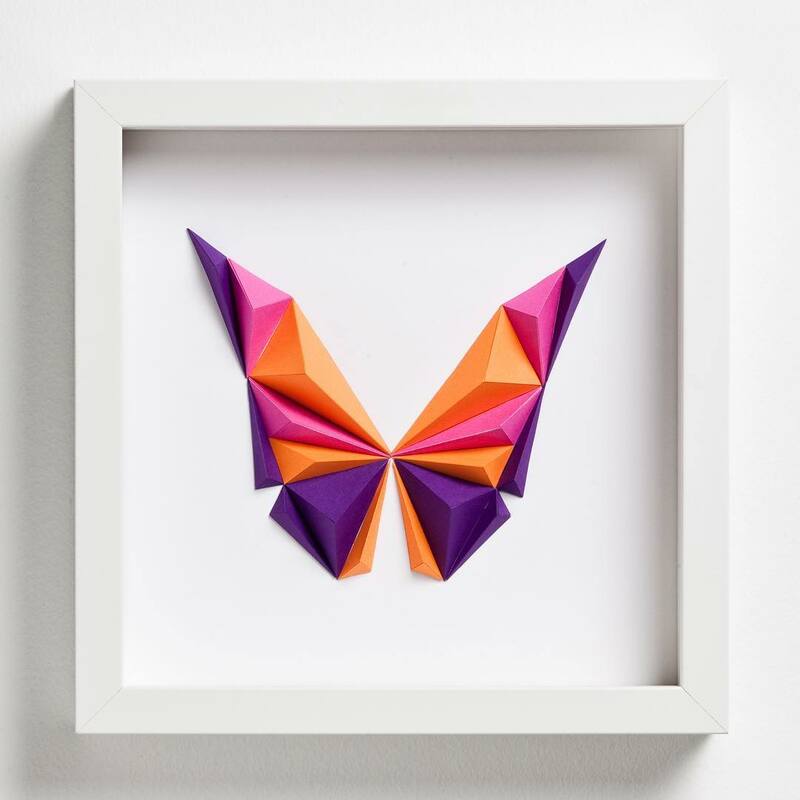 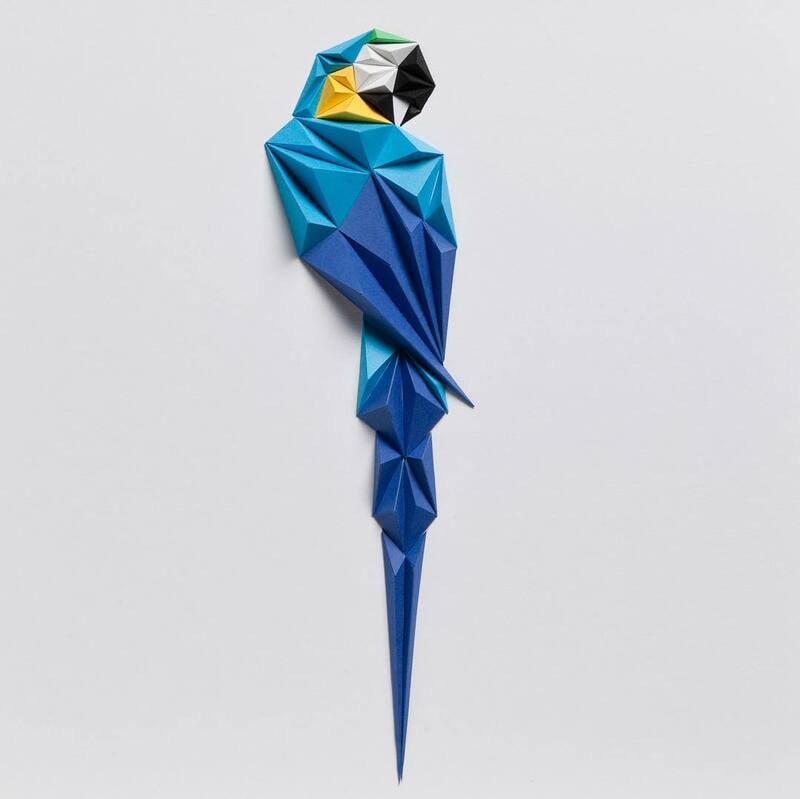 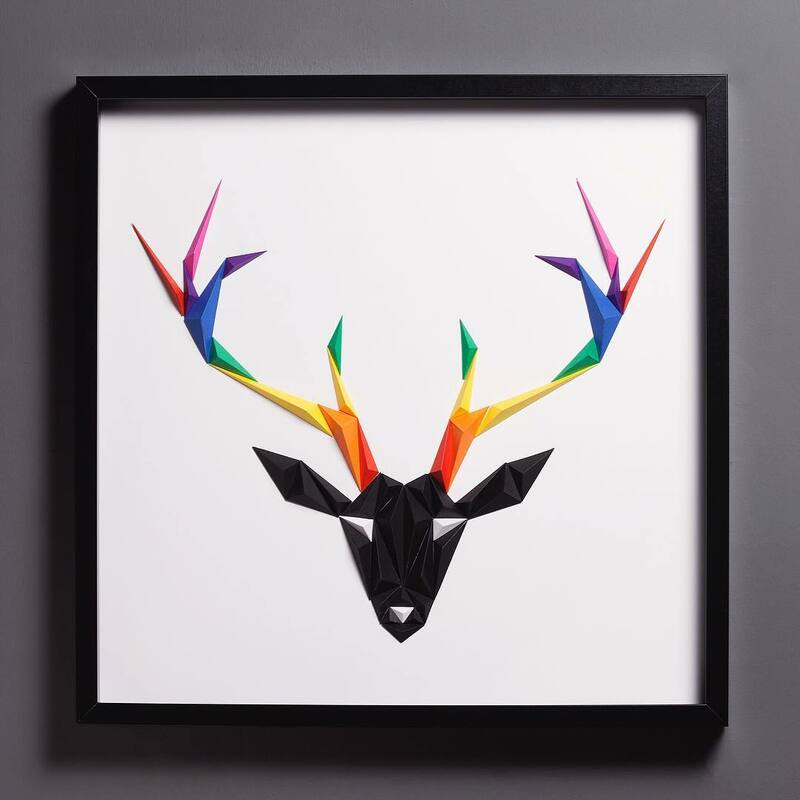 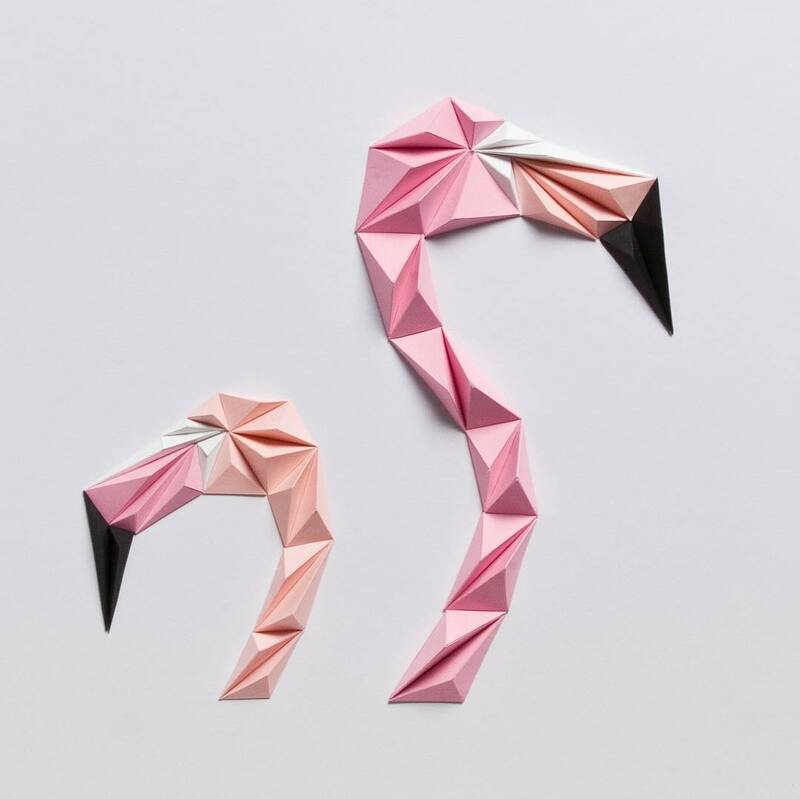 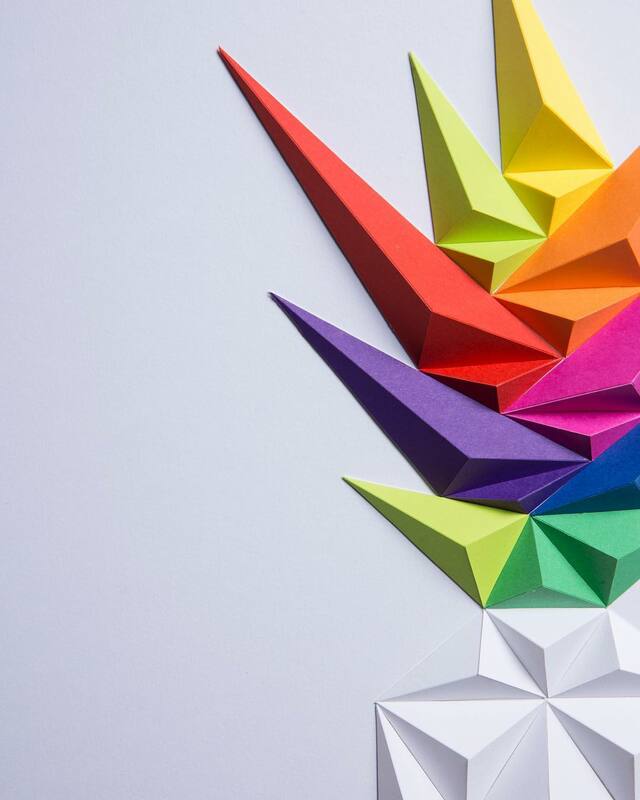 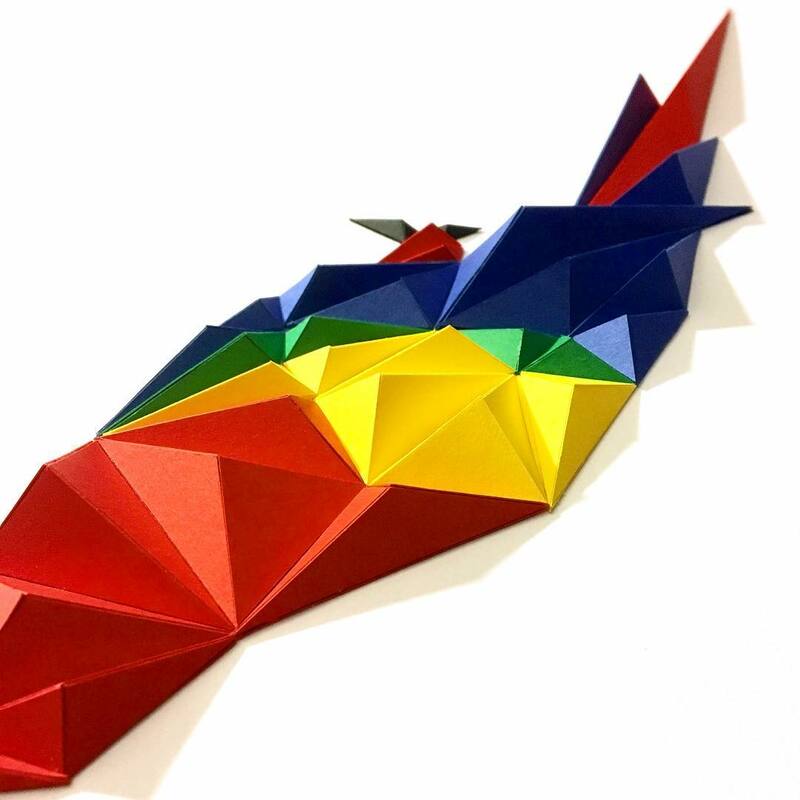 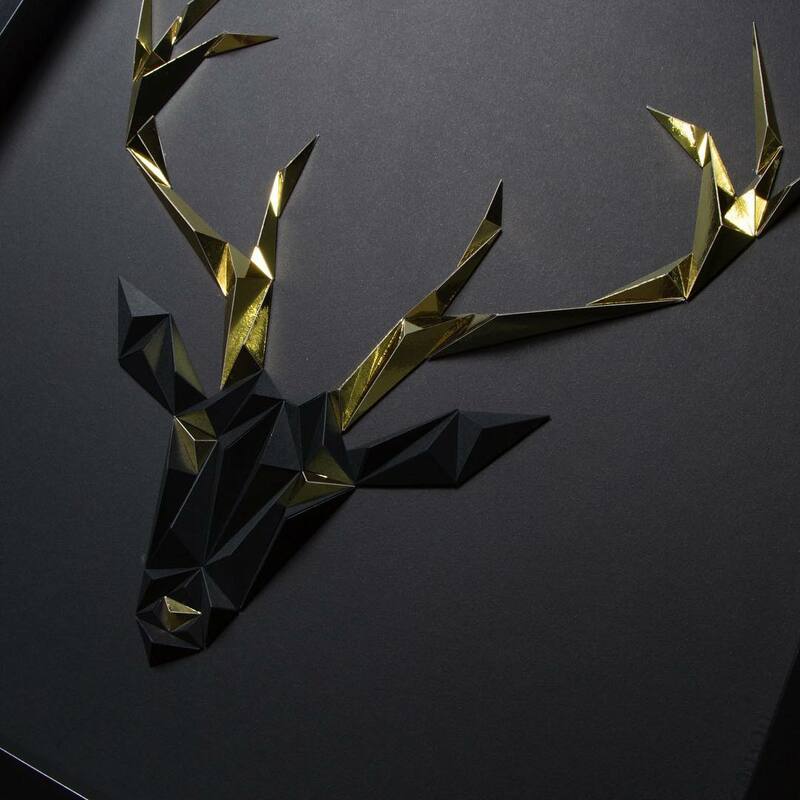 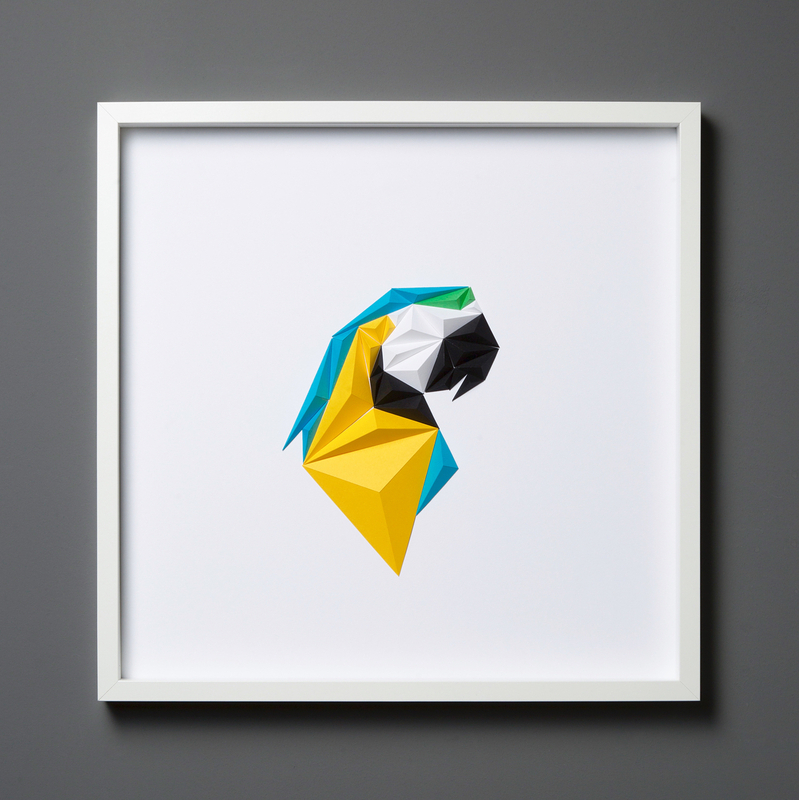 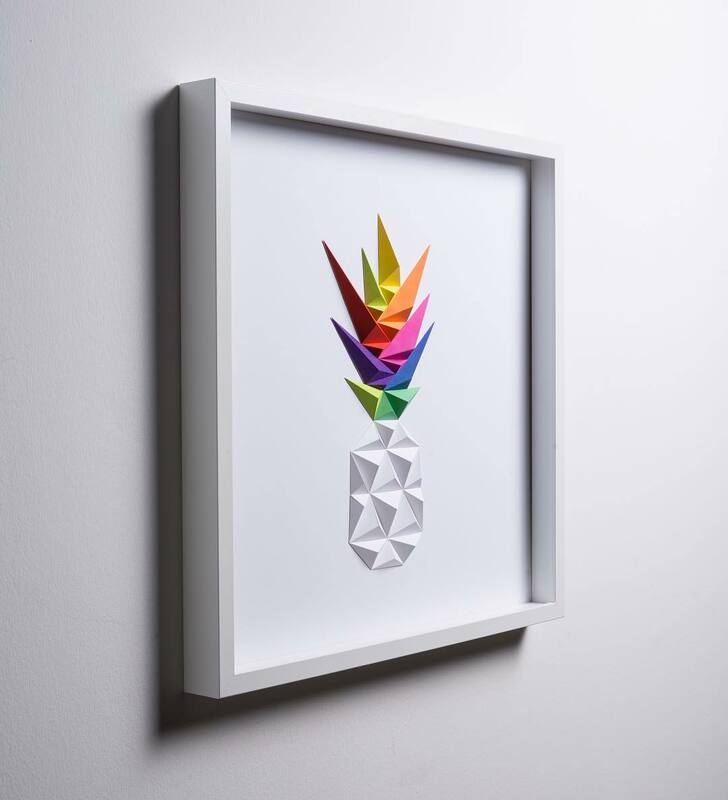 To produce each piece he first individually folds several dozen colorful triangles. 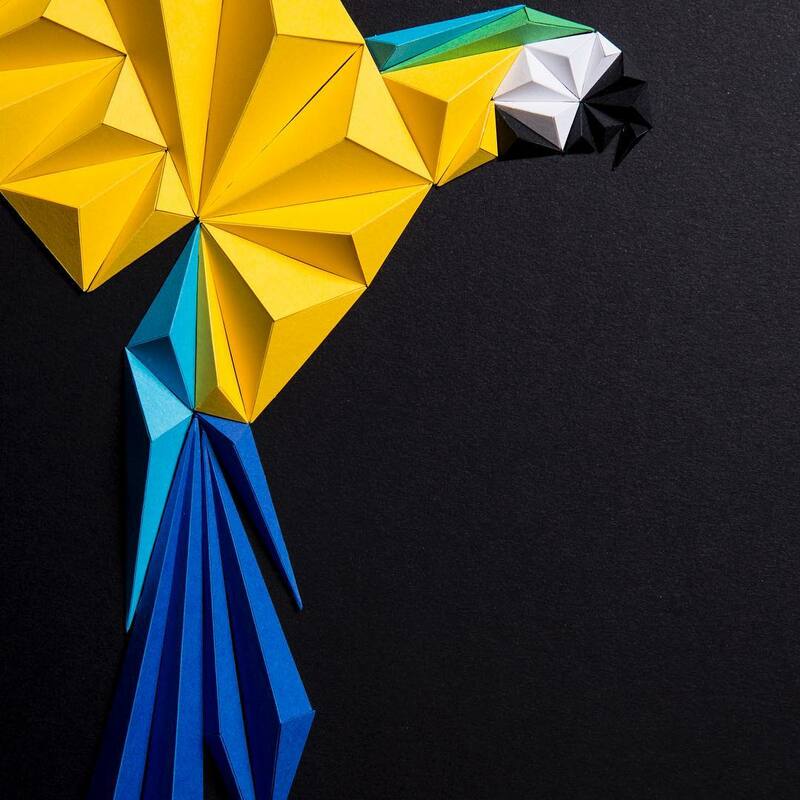 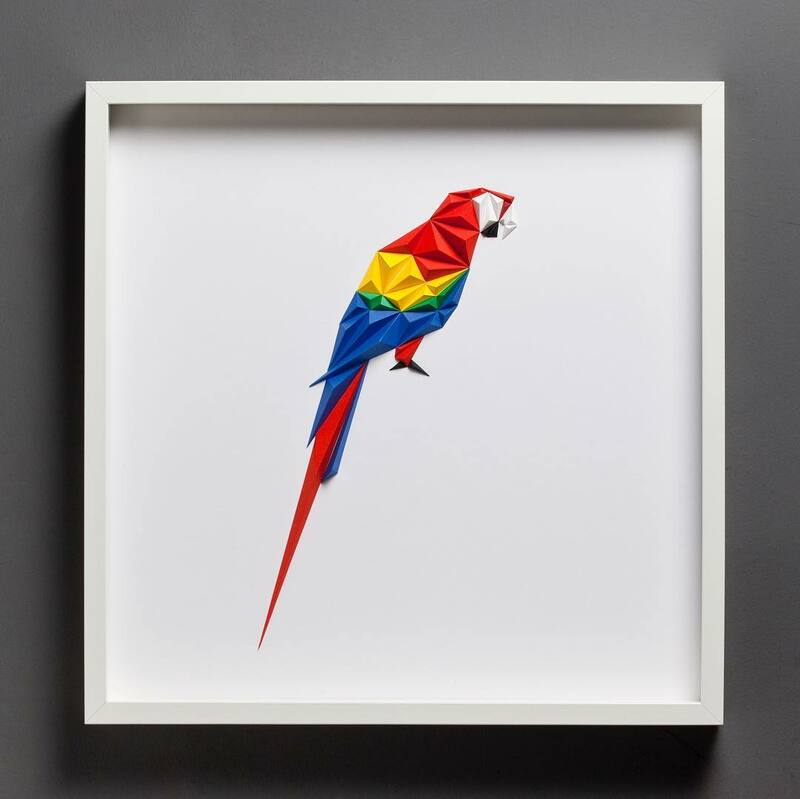 Next, he fits these discrete parts together like a puzzle, forming tropical birds such as parrots, toucans, cockatoos, and more.